The logistics support agreement which has been under negotiations for over 10 years was finally brought to a conclusion on Tuesday, where the two countries agreed “in principle” to a logistics exchange agreement to enable both militaries to use each other’s assets and bases for repair and replenishment of supplies. 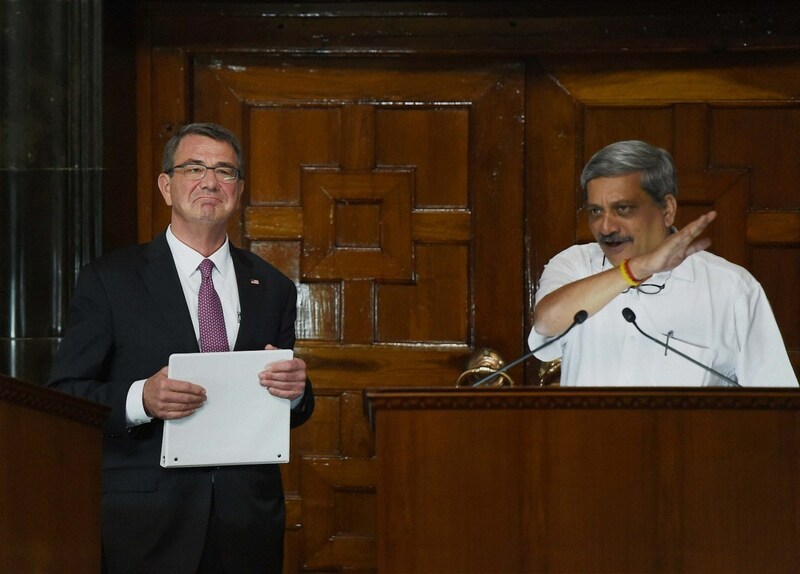 However, Defense Minister, Manohar Parrikar and Ashton Carter made it clear that the agreement does not entail deployment of American troops on Indian soil and will be signed in a few weeks or months to come. To take bilateral ties to a level never seen before, both sides agreed to set up a new Maritime Security Dialogue between officials from the respective defense and foreign affairs ministries. A “White Shipping” agreement is also proposed in the near future. This strategic partnership between India and the United States is defining the 21st century; we’ve already witnessed the remarkable changes in the relationship between the two nations. The countries also share a joint vision for peace, stability and prosperity in the Asia-Pacific region with the Joint Strategic Vision released by President Obama and Narendra Modi in January. India is the world’s biggest arms importer and wants access to US technology, so it can be a key part of the PM’s Make in India initiative to boost domestic manufacturing. The US is also hoping to sell F-16 or F-18 fighter jets to India that involve a major co-production deal with more than 100 fighter planes to be manufactured in India in collaboration with an Indian partner company. Carter told NDTV that the recent sale of F16s to Pakistan was based on the assumption that these jets will be used to fight terrorism and does acknowledge India’s objection to this decision. The main negotiations revolved around the transfer of technology for GenX aircraft carriers to be manufactured in India, including jet engines and helmet mounted displays for fighter pilots. The US is also keen to work with India to counter China’s dominance in the South China Sea; however there have been no discussions about a joint Indo-US fleet for this matter, but the two countries will work closely together.